Hemat hingga 100% dengan Citi Rewards Points/ Miles hanya dengan 1 klik! Setelah proses penukaran Anda sukses, transaksi penukaran poin atau miles akan tertera pada lembar penagihan akun Anda"
Program ini berlangsung sejak 1 Agustus hingga 31 Desember 2019. Program ini hanya berlaku untuk Pemegang Kartu Utama dari Kartu Kredit Citi PremierMiles yang diterbitkan di Indonesia. Program ini berlaku untuk transaksi di situs Agoda, Airbnb, Airy.com, Traveloka, Booking.com, Expedia, Garuda Indonesia, NusaTrip, Pegipegi, Tiket.com. Berlaku untuk minimum transaksi senilai Rp50.000,- (Lima puluh ribu Rupiah). Penukaran Citi Miles berlaku dengan nominal kelipatan Rp50.000,- (Lima puluh ribu Rupiah). Informasi lebih lanjut mengenai program ini dapat Anda temukan di bagian Syarat dan Ketentuan Umum program di bawah ini. 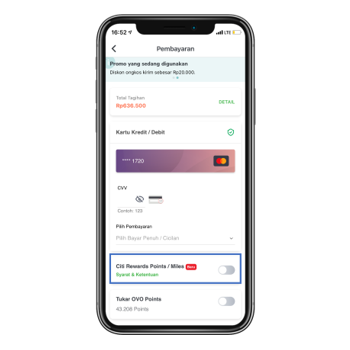 Pay with Points adalah program penawaran penukaran Citi Rewards Points/Miles untuk mendapatkan cash back hingga 100% atas transaksi yang memenuhi kriteria. Link penawaran penukaran Citi Rewards Points/Miles akan dikirim melalui SMS ke nomor ponsel yang terdaftar dalam sistem Citibank dan valid hanya di tanggal transaksi yang sama. Klik link yang telah dikirimkan dan Anda akan diarahkan ke halaman website untuk menukarkan Citi Rewards Points/Miles Anda dengan cash back. Bila penukaran Citi Rewards Points/Miles berhasil, nominal cash back yang didapat dari penukaran Citi Rewards Points/Miles Anda akan tertera di Lembar Penagihan Anda berikutnya. Anda hanya akan menerima SMS link penawaran penukaran Citi Rewards Points/Miles untuk 1 transaksi pertama yang memenuhi kriteria masing-masing program per hari. Penawaran berlaku untuk transaksi dengan Kartu Kredit Citi yang diterbitkan di Indonesia. Untuk melakukan penukaran Citi Rewards Points/Miles, Kartu Kredit Citi Anda harus dalam keadaan aktif, status pembayarannya lancar dan jumlah Citi Rewards Points/Miles Anda mencukupi. Penukaran Citi Rewards Points/Miles yang telah berhasil dilakukan tidak dapat dibatalkan atau diubah. Citi Rewards Points/Miles yang telah ditukar tidak dapat dikembalikan ke saldo Citi Rewards Points/Miles Anda. Dalam hal terdapat perselisihan transaksi dengan merchant dan/atau transaksi dibatalkan oleh merchant setelah Citi Rewards Points/Miles berhasil ditukarkan maka Citi Rewards Points/Miles tidak dapat dibatalkan. Untuk transaksi dalam mata uang asing, nilai transaksi dalam Rupiah yang diinformasikan dalam SMS adalah nilai transaksi menggunakan nilai tukar dari Visa/MasterCard pada tanggal transaksi. Nilai transaksi Rupiah yang ditagihkan dalam Lembar Penagihan akan menggunakan nilai tukar dari Visa/MasterCard pada tanggal pembukuan transaksi, sehingga nilai transaksi dalam Rupiah dapat berbeda. Hemat hingga 100% dengan Citi Rewards Points hanya dengan 1 klik! Nikmati cara mudah untuk mendapatkan cash back dengan menukarkan Citi Rewards Point/Miles Anda. Untuk setiap transaksi yang memenuhi syarat dan ketentuan program yang berlaku, Anda akan menerima SMS yang menawarkan penukaran Citi Rewards Points/ Miles. Cukup klik link di SMS, dan dapatkan cash back sampai dengan 100% dari jumlah transaksi Anda. Experience Memorable Travel with Points. 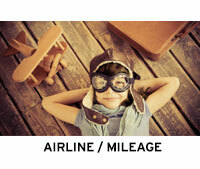 Redeem your Miles and Citi Rewards Points to Airlines Mileage, Hotel Points to enjoy your travelling moments. Spend as much as possible and gain accumulated Citi Rewards Points for your Citi Credit Card Annual Fee Redemption. Effective 6 March 2017, Citi Rewards Program (Citi Rewards Points/Miles/Cash Back)’s Terms & Conditions has been updated. including any valid supplementary card thereof. Transaction eligible and calculated in the earning of Citi Rewards Program (Citi Rewards Points/Miles/Cash Back) includes all transaction using Citi Credit Card (including supplementary card, if any), provided that Citibank reserves the right to alter, or add the existing provisions including but not limited to determine which transactions are eligible to earn Citi Rewards Points/Miles/Cash Back. all fees, interest and penalties. Keep using Your Citi Credit Card and accumulate more and more Citi Rewards Points/Miles/Cash Back from various transactions. Important! If you are still using Citi Silver Card, Citi Gold Card, and Citi Clear Card, to continue earning Citi Rewards Points from your transactions, please immediately contact CitiPhone Banking 24-Hours at (021) 252 9999 or 69999 from your cellphone to ask for your card replacement. For more information, please contact CitiPhone Banking at (021) 252-9999 or 69999 from your cellphone. What is "Citi Rewards Program"? Citi Rewards Program is a program designed exclusively for Citi Credit Cardhoder and is our way of saying "Thank You" every time you use your Citi Visa or MasterCard Card. For each retail purchase on your Citi Credit Card you will automatically earn Citi Rewards Points/Miles/Cash Back, which can later be redeemed for various free Rewards items. Do I qualify for Citi Rewards Points/Miles/Cash Back? If you are holding a Citi Prestige Card, Citi PremierMiles Card, Citi Platinum Card, Citi Rewards Card, Citi Cash Back Card, Garuda Indonesia Citi Card or Citi Telkomsel Card, you will automatically qualify for Citi Rewards Points/Miles/Cash Back in transactions complied with terms and conditions. Who is eligible to participate in Citi Rewards Program? Citi Rewards Program is specially offered to existing Citi Credit Cardholder; which are in good status (have no problem) and will be automatically enrolled in this program. How are Citi Rewards Points/Miles/Cash Back earned? You will get a Citi Rewards Points / Miles / Cash Back on each type of Credit Card for every multiple of certain spending. To know the value of the transaction to acquire Citi Rewards Points / Miles / Cash Back for each type of Credit Card, you can visit www.citibank.co.id/kartukredit. Are there any transactions, which do not accumulate Citi Rewards Points/Miles/Cash Back? Yes. Electricity and water bill payment, EazyPay transactions at the Merchant, Transactions converted into EazyPay by phone, website or microsite; Loan On Phone through phone, website or microsite, Cash Advance, Annual fee for the Primary Card and the Supplementary Card, Credit Shield Plus/Prestige premiums, and all fees, interest and penalties. Will purchases made on Citibank Supplementary Cards accumulate Citi Rewards Points/Miles/Cash Back? Yes. All retail purchases on Supplementary Cards will also earn Citi Rewards Points/Miles/Cash Back, and will be included in the total Citi Rewards Points/Miles/Cash Back earned by the Basic Cardholder. In case a Cardholder has both a Citi Visa and MasterCard Card, can Citi Rewards Points/Miles/Cash Back earned through the 2 cards be combined together for redemption? No. Citi Rewards Points/Miles/Cash Back from different card can not be combined. How can the Citi Rewards Points/Miles be redeemed? You can redeem your Citi Rewards Points/Miles free of charge through Citibank Online (click Rewards Redemption menu) or via CitiPhone Banking at (021) 252 9999 or at 69999 through your mobile phone with additional charges. For Citi Prestige Cardholder, you can redeem it via Citi Prestige Executive 24-hours at (021) 252 9700 free of charge. Login to Citibank Online to redeem Citi Rewards Points / Miles, free of charge. How long will it take to receive the gift item? We will deliver within 3-4 weeks after the CitiPhone Banking or Citi Prestige Executive 24 hr (for Citi Prestige Cardholder) receives your redemption instructions. All gift item will be delivered only to the Basic Cardmember's billing address (home or business, based on the most recent address available in our records) and shall not be delivered to any other address. Gift items cannot be picked up in person from either the Citibank office or the CitiPhone Banking 24 Hours. All gift item that have already been redeemed cannot be exchanged, cancelled, or returned. Who are authorized to receive the Citi Rewards Program items delivery? If you use home address as your billing address, your family member can receive the Rewards items that are delivered to you. If the items are received by non family member, you have to give a written Power of Attorney and it should be attached with stamp duty. Can the gift item be exchanged for cash? No. They cannot be exchanged for cash. Can the Rewards that already been requested (even if not receive yet) exchange with other orders? No. After the instruction to exchange your items given by CitiPhone Banking or Citi Prestige Executive 24 hr (for Citi Prestige Cardholders only), any changes will not be entertained, although you have not receive the items yet. The items that already been ordered cannot be cancelled, returned, or replaced. What happens in the case of lost cards? Citi Rewards Points/Miles/Cash Back accumulated before the card is lost will still be valid for redemption. After a new card is issued, the accumulated Citi Rewards Points/Miles/Cash Back from the lost card will be transferred to the new card account. How can the Citi Rewards Points/Miles be exchanged for Citibank airline/hotel partners program? 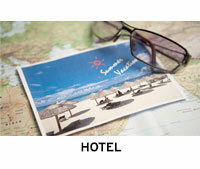 You have to be a member of airline/hotel Partners first. Information on applying to be a member of airline/hotel Partners comes directly to their Hotline Services Numbers. Whenever your account number is ready, Citi Rewards Points/Miles can be redeemed by quoting your account number. How long will it take to redeem Citi Rewards Points/Miles to Citibank airline/hotel Partners? It needs 2-3 weeks to transfer the Citi Rewards Points/Miles to Citibank airline/hotel Partners and become available for your use in each partner. Redemption printed on your Billing Statement, without any exception. What if the stock in Citi Rewards Program offer is not available anymore? Citibank will not arrange additional orders when the items are out of stock. This is why we suggest you to redeem available Citi Rewards Points/Miles with available items. For gift option (Citi Rewards Points/Miles + Rupiah installment), can it be done if the Citi Rewards Points/Miles is less than what it has been stated, but the installment is higher? No. For this gift option, you have to have the minimum required Citi Rewards Points/Miles as stated in the Citi Rewards Program offer. Is there any other important information? Yes. Please note that if you are late on your payment against your monthly billing statement, your Citi Rewards Points/Miles/Cash Back accumulation for retail purchases will be temporarily suspended until such time that the credit standing of your card account is good again. Similarly, at such times, Citi Rewards Points/Miles already earned will be 'frozen' and redemption will not be allowed. How can Citi Rewards Points/Miles/Cash Back be earned faster? It is simple - all you have to do is remember to only use your Citi Credit Card whenever you are shopping, dining, traveling, etc. Instead of using cash or any other card, always use your Citi Credit Card Visa or MasterCard - that way you will earn Citi Rewards Points/Miles/Cash Back faster. Can I redeem my Cash Back into Citi Rewards Points, Miles, or gift? For Citi Cash Back Cardholders, accumulated Cash Back cannot be redeemed to Citi Rewards Points, Miles, or gift. How to get the information about my remaining Citi Rewards Points/Miles/Cash Back? Primary Cardholder can send an SMS to 69999 type “reward<space> last 4 digits of your card” example “reward 1234” or click “Reward Redemption” at Citibank Online and select the Credit Card Type. "Citi Rewards Program" means a program specifically designed for the benefit of the Cardholder in forms of Citi Rewards Points Miles/Cash Back. "Citi Rewards Points/Miles/Cash Back" means the points/miles/cash back awarded of each multiple of certain spending to the Cardholder based on each Credit Card Type. "Business Day" means a day on which banks in Indonesia generally operate their businesses, namely from Monday through Friday, except for a national holiday or any day officially stipulated by Bank Indonesia as a holiday. "Credit Card Type" means Citi Prestige Card, Citi PremierMiles Card, Citi Platinum Card, Citi Rewards Card, Citi Cash Back Card, Garuda Indonesia Citi Card, Citi Telkomsel Card; including any valid supplementary card thereof. "Citi Credit Card" means any credit card issued by Citibank in the name of the Cardholder, whether a primary card or a supplementary card. "Merchant" means a seller of goods or provider of services that receives payments from customers using credit cards and/or debit cards. 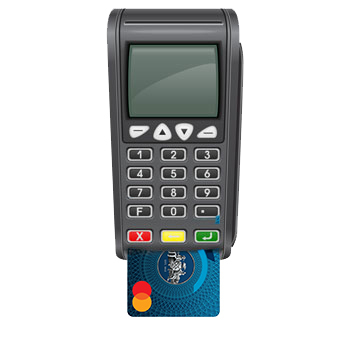 "EDC (Electronic Data Capture)" is an electronic device that used as a means of payment using a credit card and / or debit card. "Written Notice" means a notice of change in the Terms and Conditions for the Citi Credit Card, provided from time to time along with the Credit Card Statement or in a separate notification, and/or through www.citibank.co.id, all of which form an integral and inseparable part of these Terms and Conditions. "Cardholder" means (i) the authorized user of the primary card as well as the account owner, or (ii) the authorized user of the supplementary card, of the Citi Credit Card. 1.2 Cardholders can redeem Reward Points/Miles has been collected on each Credit Card Type with Gift. For Citi Cash Back Cardholders, accumulated Cash Back will be credited to Credit Card Statement every month. Cash Back cannot be redeemed to Citi Rewards Points, Miles or Gift. 1.3 The provisions contained in these terms and conditions are in addition to the terms and conditions for the use of the Citi Credit Card. 2.1 Citi Rewards Program is exclusively applicable to the Cardholder. 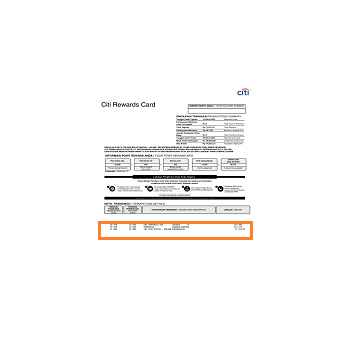 2.2 Subject to the provisions of paragraph 2.3. below, any Cardholder as defined in paragraph 1.1. that has complied with the terms and conditions governing the use of the Citi Credit Card will be automatically enrolled in the Citi Rewards Program, unless otherwise stipulated by Citibank. 2.3 Citibank may at its sole discretion review the Cardholder’s eligibility of participation from time to time. Should Citibank determine that the Cardholder is no longer eligible to participate in the Citi Rewards Program, Citibank will notify the Cardholder thereof. 3.1 Citi Rewards Points/Miles/Cash Back can be earned since the Credit Card is issued. Cardholder can only earn Citi Rewards Points/Miles/Cash Back if their credit card is active and in good standing in accordance with the terms and conditions of use Citi Credit Card. 3.2 Citi Rewards Points/Miles/Cash Back will be credited automatically to the Primary Cardholder’s Citi Rewards Points/Miles/Cash Back balance when transaction is recorded. 3.4 The total spending that taken into account in the earning of Reward points/miles/cash back will be based on the amounts spent by using the Citi Credit Card (including supplementary card, if any), provided that Citibank reserves the right to alter, or add the existing provisions including but not limited to determine which transactions are eligible to earn Rewards points/miles/cash back. Every change will be informed in written notice to the Cardholder. 3.5 Electricity and water bill payment, EazyPay transactions at the Merchant, Transactions converted into EazyPay by phone, website or microsite, Cash Advance, Annual fee for the Primary Card and the Supplementary Card, Credit Shield Plus/Prestige premiums, and All Fees, Interest and penalties will not earn any Citi Rewards Points/Miles/Cash Back. 3.6 Citibank reserves the right to adjust these terms for the Rewards points/miles/cash back to the current market development. 3.9 Citibank is not liable for any events beyond its control and authority, including (but not limited to) strikes, natural calamities (fires, floods, earthquakes, etc. ), riots which may cause damage to the equipment of Citibank or any other related Party, and war as well as any change to the policies issued by the Government of the Republic of Indonesia or the United States, adversely affecting Citibank’s ability to implement the Citi Rewards Program. In such event, the Cardholder will not hold Citibank or its headquarters, branches, affiliates or other subsidiaries liable for any losses arising therefrom in relation to the implementation of the Citi Rewards Program. 3.11 For the purposes of calculation of the Citi Rewards Points/Miles/Cash Back and Gifts redemption, the Rewards points/miles/cash back earned on each Citi Credit Card can not be combined for Gifts redemption. The Citi Rewards Points/Miles/Cash Back earned accrued can not be transferred to other Credit Card Type that offer different Citi Rewards Program. 3.12 To check the availability of Citi Rewards Points/Miles/Cash Back on each Credit Card Type, Primary Cardholder can send an SMS to 69999 type "reward <space> last 4 digits of your card" example "reward 1234" or click "Rewards Redemption" at Citibank Online and select the Credit Card Type. 3.13 If the primary cardholder closes the Citi Credit Card account, any earned Citi Rewards Points/Miles/Cash Back at the time of such closure will be extinguished. The Citi Rewards Points/Miles/Cash Back can still be exchanged to Gifts if the redemption is made prior to the closure of the Citi Credit Card account. 3.14 If a primary cardholder has more than one Citi Credit Cards and intends to close one of the Citi Credit Cards, the Citi Rewards Points/Miles/Cash Back earned in one of the Citi Credit Cards are not transferable to the other Citi Credit Card; however, the Citi Rewards Points/Miles/Cash Back can still be used if the redemption is made prior to the closure of the relevant Citi Credit Card account. 4.1 At the time the Citi Rewards Points /Miles are to be redeemed for the Gifts, the primary Citi Credit Card holder must be in good standing, in compliance with all the terms and conditions for the use of Citi Credit Cards. 4.2 The primary cardholder may request to redeem the Citi Rewards Points /Miles for the Gifts by contacting CitiPhone Banking Services at (021) 252-9999 or at 69999 from a mobile phone or through Citibank Online or for Citi Prestife Cardholder at (021) 252 9700. 4.3 The implementation of Citi Rewards Points /Miles redemption with Gifts in the form of merchandise or voucher or certificate follows the rules below. 4.4 All Gifts will be delivered either by mail or by courier to the billing address of the Cardholder. No delivery will be made to any other address. 4.5.1 Citibank does not provide any guaranty for the Gifts. All information contained in each Citi Rewards Program offer is based on the information received by Citibank from the Gifts suppliers. Any after-sales service, battery or other additional part thereof that do not come with the Gifts as an inseparable part thereof are not included in the Gifts. 4.5.2 If the Cardholder receives the Gifts in a damaged condition, the Cardholder may lodge a complaint by contacting CitiPhone Banking Services as mentioned at point 4.2 above no later than 3 (three) Business Days after receiving the Gifts. After the lapse of such period, any request for replacement of the Gifts will not be served. 4.5.3 Citibank reserves the right to determine the color of Gifts offered in the catalog (if any). 4.5.4 Any Gifts in the form of vouchers or certificates, unless stipulated otherwise in writing, shall not include any applicable booking fees, Credit Shield Plus insurance or other relevant charges. All such costs and fees will be fully borne by the Cardholder and must be paid upon redemption of the vouchers or certificates directly at the Merchant’s location. 4.6 For Citi Rewards Points /Miles redemption to Gifts in forms of airline mileage or partners merchant’s rewards point offered by Citibank’s airline partners, including (but not limited to) the Krisflyer, Asia Miles, Royal Orchid Plus, Garuda Indonesia, or rewards point from Club Carlson, Hilton Hhonors, International Hotel Group, the primary cardholder must first register with the relevant airline/partner for the selected program before redeeming th Citi Rewards Points /Miles. Transfer of the Citi Rewards Points /Miles to the airline/partners may take 2 (two) to 3 (three) weeks before the miles/reward point are recorded with the relevant airline/partner. 4.7 The Gifts offered in any Citi Rewards Program are valid only within the offer period. If the Gift chosen by the Cardholder is not available due to limitation on the part of the Gifts supplier, Citibank will notify the Cardholder of such unavailability and the Gift may be replaced with any other Gift available at the time of Citi Rewards Points/Miles redemption. The Cardholder hereby agrees not to make any claim against Citibank and/or hold Citibank liable for any losses resulting therefrom. 4.8 Citibank is not liable for any damage to or loss of the Gifts that have been received by the Cardholder. 5.1 Redemption of Citi Rewards Points /Miles through the EDC machine must be in accordance with the applicable Citi Rewards Program redemption program at the time of the transaction with the Merchant. Privileges offered in the Citi Rewards Points /Miles redemption of each Citi Credit Card Type in effect to the program at the transaction date in the respective Merchant. Citibank reserves the right to change the minimum and maximum the amount of Citi Rewards Points/Miles redemption in accordance with Citibank’s policy, which is subject to review from time to time, upon Written Notice to the Cardholder. 5.2 No redemption of Citi Rewards Points/Miles through Citibank’s EDC Machine may be cancelled. 6.1 Citibank offers Citi Rewards Points/Miles redemption with e-voucher which can be used in the participated Merchant. Primary Cardholder who has successfully redeemed will automatically receive an e-voucher credited on the Citi Credit ard which have Citi Reward Points/Miles redeemed. 6.2.1 Redemption of Citi Rewards Points /Miles is valid only for the primary cardholder. 6.2.2 Citibank reserves the right to alter the amount of Citi Rewards Points /Miles needed to redeem the e-voucher in accordance with Citibank policy, that will be reviewed from time to time, and will be informed by Written Notice to the Cardholder. 6.2.3 After the Citi Rewards Points /Miles are successfully redeemed, Primary cardholder will receive an SMS informing that the e-vouchers are available in the Citi Credit Card whose Citi Rewards Points /Miles redeemed and therefore can be used at the Merchant in accordance with the e-voucher redemption. The SMS will be received by no later than 4 Business Days after the Rewards Points redemption is successfully done. 6.2.4 The Terms and Conditions for use of the e-vouchers are in accordance with the individual Terms and Conditions for the relevant e-voucher program. 7.1 The primary cardholder may request to redeem the Citi Rewards Points /Miles for Mileage by login to Citibank Online (click Rewards Redemption menu) or via CitiPhone Banking at (021) 252 9999 or at 69999 through your mobile phone. For Citi Prestige Cardholder, you can redeem via Citi Prestige Executive at (021) 252 9700. 7.2 Login to Citibank Online to redeem Reward Points / Miles, free of charge. 8.1 Citibank may from time to time change these Terms and Conditions upon Written Notice to the Cardholder. 8.2 Citibank reserves the right to suspend or terminate the Citi Rewards Program at any time by written notice to the Cardholder. 8.3 These terms and conditions for the Citi Rewards Program have been made in Bahasa and English. 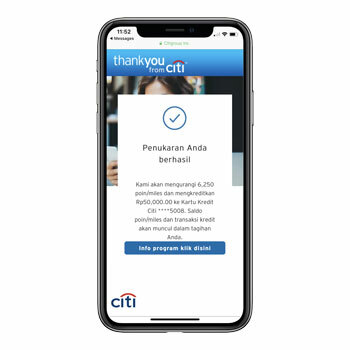 In the event of any inconsistency in the interpretation of these terms and conditions, the Bahasa language version of these terms and conditions for the Citi Rewards Program will prevail. Masukkan nomor Kartu Kredit Citi Anda pada halaman pembayaran. Aktifkan fitur “Gunakan Citi Rewards Points”. 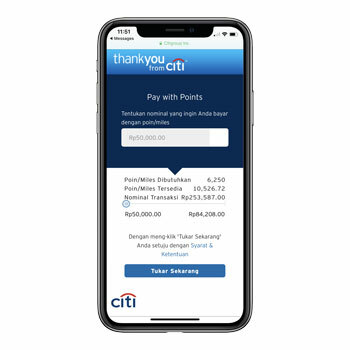 Masukkan jumlah Citi Rewards Points yang ingin digunakan dalam nominal Rupiah pada kolom ringkasan Citi Rewards Points. Penukaran Citi Rewards Points akan tertera pada lembar penagihan berikutnya. akan tertera di Lembar Penagihan Anda berikutnya. back yang didapat dari penukaran Citi Reward Points yang akan tertertera di Lembar Penagihan Anda berikutnya. For Annual Fee point redemption, please contact CitiPhone Banking 24 hours at 69999. Citi Rewards Point redemption with e-voucher has to be done through Citibank online at www.citirewards.com. Redemption period until 18 September 2016. Minimum redemption Citi Rewards Points that 11.112 Citi Rewards Points (= Rp100.000,- e –voucher). Citi Rewards Points redemption is valid for Primary and Supplementary Card. To know the balance of Citi Rewards points, SMS type“reward last 4 digit of your card” for example “rewards 1234” or click “Cekpoin Citi rewards” in Citibank Online. After Citi Rewards Points successfully redeemed, Citi Credit Cardholders will receive SMS notification to inform that e-voucher is available in IKEA. SMS will be received at the latest 4 days after Citi Rewards Points is successfully done. e-voucher must be exchanged into IKEA voucher at IKEA Customer Service by bringing the same Citi Credit Card that being used for redeeming their Citi Rewards Points in Citibank online portal. E-voucher can be exchanged into IKEA voucher valid until 30 September 2016. For each IKEA voucher worth of Rp100.000,- can be used to deduct next transaction with minimum transaction of Rp200.000,- with Citi Credit Card. E-voucher can be used at IKEA Alam Sutera. In case any error occurred on the Citibank EDC machine during cash bonus redemption, Citi Credit Cardholder still be able to redeem by showing the SMS notification from Citibank to IKEA customer service. E-voucher can be combined with other promotion. Eligible for all Citi Credit Card with Citi Rewards Points, such as Citi Rewards Card, Citi Platinum Card , Citi Telkomsel Card and Citi PremierMiles Card. Your Citi Credit Card must be in active status and the payment status is current. Your Citi Rewards Point / Miles must be available & sufficient for redemption. Minimum transaction is in accordance to the requirement of each program. Redeeming Citi Rewards Point/ Miles via SMS must use an already registered phone numbers in a Citibank’s system. After that, customers can only participate the program after they received SMS. 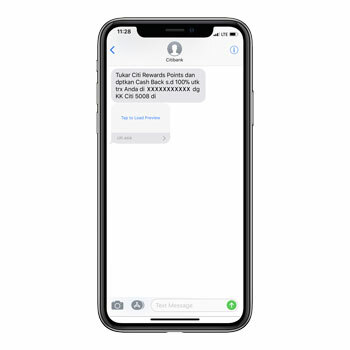 Text message format that had to be sent to 69999 must follow the instructions in SMS from Citibank closely, The SMS will be generated after the transactions had been made using Citi Credit Cards. Citi Rewards Point/ Miles redemption offer is valid for 12 hours after the SMS that contains instructions on how to redeem the points is received.